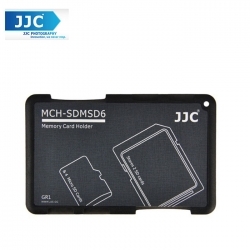 JJC MCH Series Memory Card Holders features several individual slots to store your memory cards, which prevents your memory cards from dust and loss. Made of ABS, the holder is lightweight and portable. With compact design, the holder is credit card size. In addition, a hole is provided so you can attach the holder to your keychain. The holder keeps the card securely while allows you to store and remove it with your finger easily. 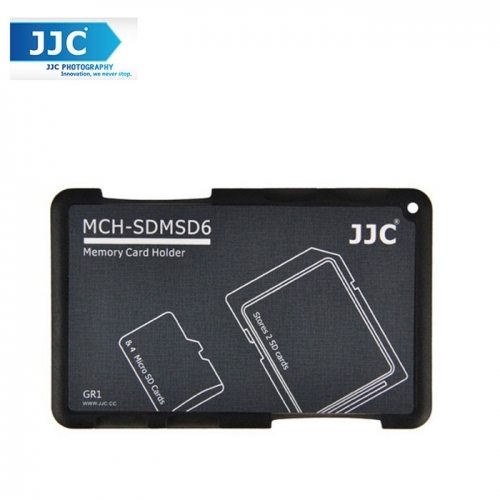 There are memory card patterns on the back of the holder, ensuring that the memory cards are inserted rightly. What’s more, the patterns can be marked and noted in case that you mix your memory cards.